The Kings XI Punjab produced a magnificent bowling effort to bundle up Delhi Capitals for 152 runs in Mohali. 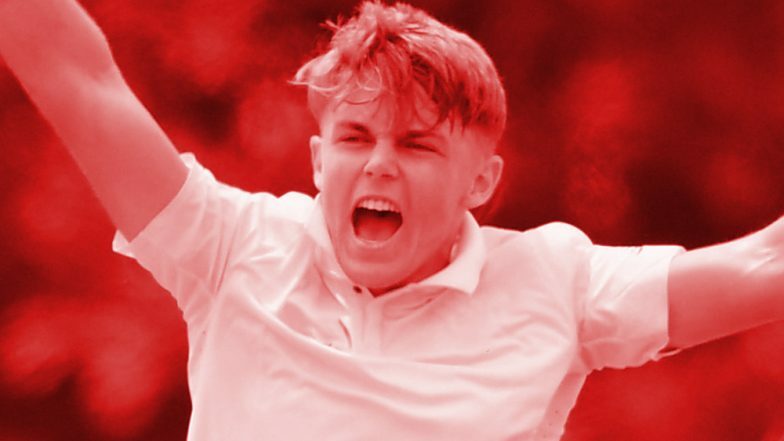 Kings XI won by 14 runs thanks to Sam Curran's brillant bowling performance at the depth. Curran took a hat-trick and finished with figures of 4 wickets for 11 in just 2.2 overs. He won the Man of the Match award for his performance in the match. DC 152/10(19.2) | Kings XI Punjab vs Delhi Capitals Live Cricket Score 13th T20 Match. At just 20 years and 302 days, Curran is now the youngest player to take a hat-trick. He broke Rohit Sharma's 2009 record, when Sharma had taken a hat-trick back then at 22 years of age. Curran's hat-trick was the 18th overall in the IPL. He dismissed Harshal Patel, Kagiso Rabada and Sandeep Lamichhane in consecutive deliveries to complete the hat-trick. The astonishing fact is that Delhi Capitals were cruising towards victory at one stage as they were 144/3 with just 24 runs needed off 21 balls. However, the drama began in the 17th over after the dismissal of Rishabh Pant. Delhi lost 7 wickets for just 8 runs in 17 balls to lose the match. Prithvi Shaw Dismissed For Golden Duck by R Ashwin During KXIP vs DC IPL 2019 Match. Earlier, Kings XI managed to put up the score of 166/9 on the board thanks to Sarfaraz Khan, David Miller and Mandeep Singh's batting efforts. Sam Curran was sent to open the batting and he managed to score 20 of 10 balls. Delhi Capitals Playing XI: Prithvi Shaw, Shikhar Dhawan, Shreyas Iyer (Captain), Colin Ingram, Rishabh Pant (wk), Hanuma Vihari, Chris Morris, Harshal Patel, Avesh Khan, Sandeep Lamichhane, Kagiso Rabada. Kings XI Punjab Playing XI: KL Rahul (wk), Mayank Agarwal, Sarfaraz Khan, David Miller, Mandeep Singh, Sam Curran, R Ashwin (Captain), Hardus Viljoen, Mujeeb Ur Rahman, M Ashwin, Mohammed Shami.